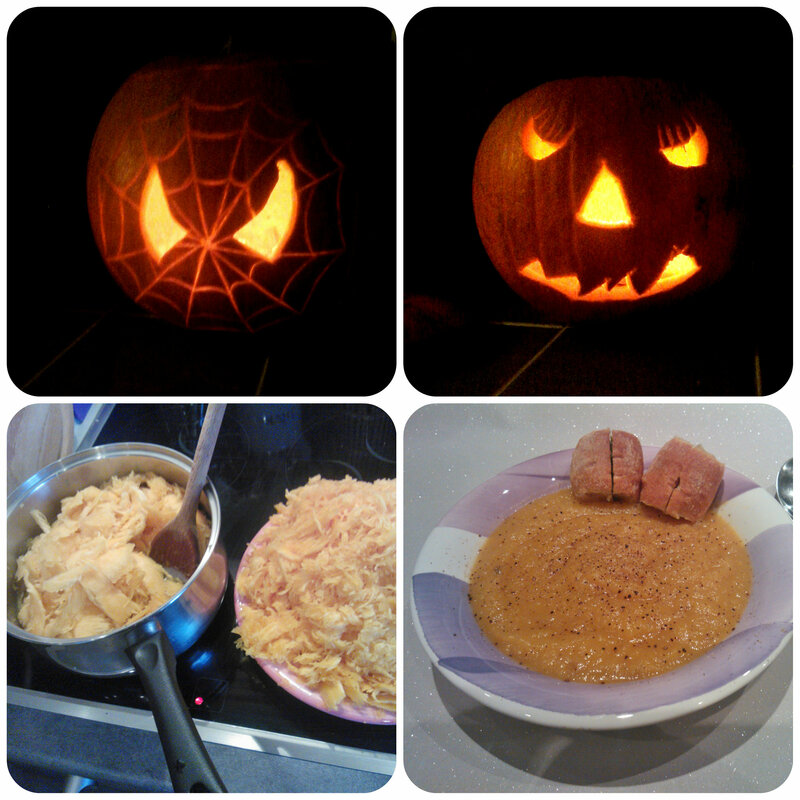 This year the children were very excited about Halloween and couldn’t wait to celebrate. Miss M was keen to dress up although Mister B just wanted to wear his scary hat. Miss M wanted a new outfit so we set off to Tesco and she picked a sparkly black and silver dress and mask. She also added some coloured hair clips with coloured strands hanging from them to spook her hair up a bit. We then headed home to carve our pumpkins that I’d bought a couple of weeks earlier (after previous years experience of not being able to buy within a few days of Halloween itself!). Having left it a little late in the day to carve them, I decided to let the ever eager Miss M carve one and daddy do the other while I turned the insides into a delicious, warming soup! Daddy carved a Spiderman face for Mister B and Miss M attempted her first pumpkin face. The evening was soon upon us and the children were eager to go trick or treating. We met up with a few neighbours and followed the children up the road and around the block, only knocking on doors with a pumpkin in sight! 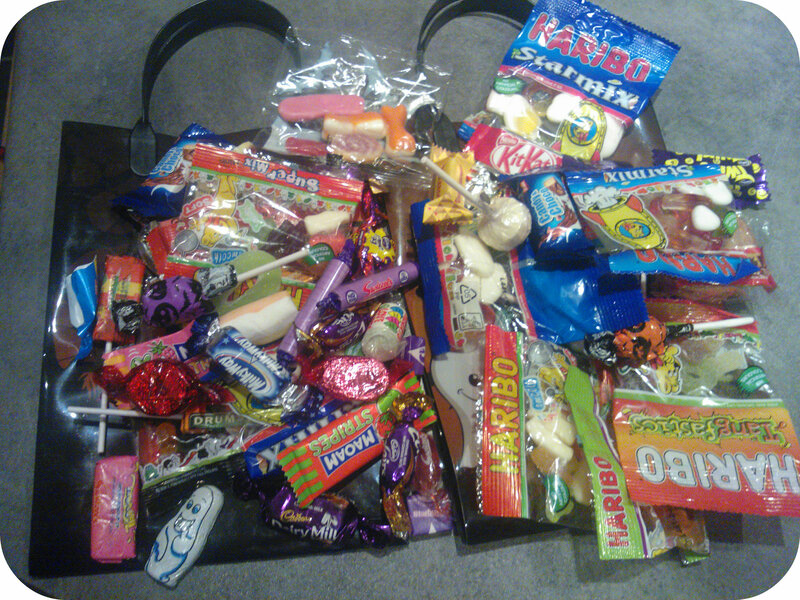 I have to say I was quite surprised by their haul, it’ll certainly keep them filled up with sweet treats for a few weeks, although Mister B, bless him, chose an orange from one house which he declared his favourite thing from his trick or treating haul and ate it straightaway! 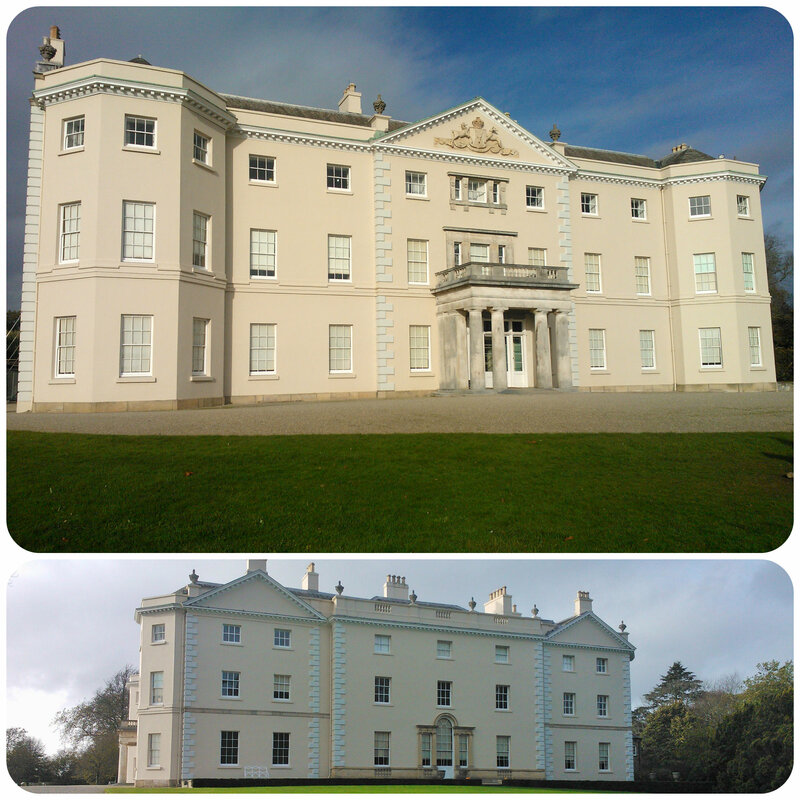 The next day we decided to continue the Halloween theme and visit our local National Trust property, Saltram House to do their pumpkin trail around the grounds. 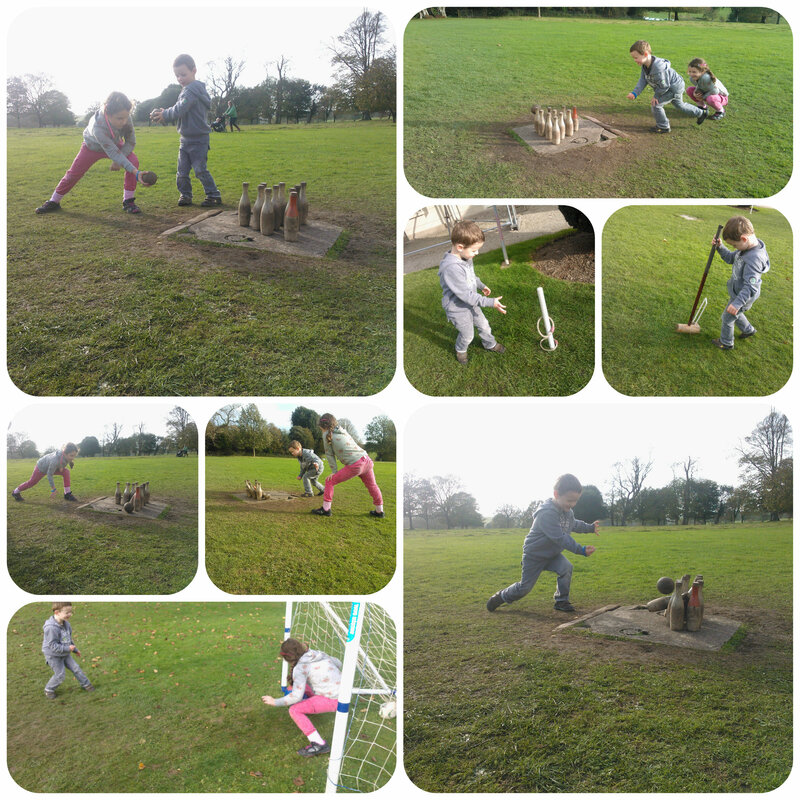 The children love running around in the fresh air and with the added excitement of finding the pumpkins it kept them more than occupied. I love all the views from Saltram across the estuary, you are so close to the city centre yet feel so far away! 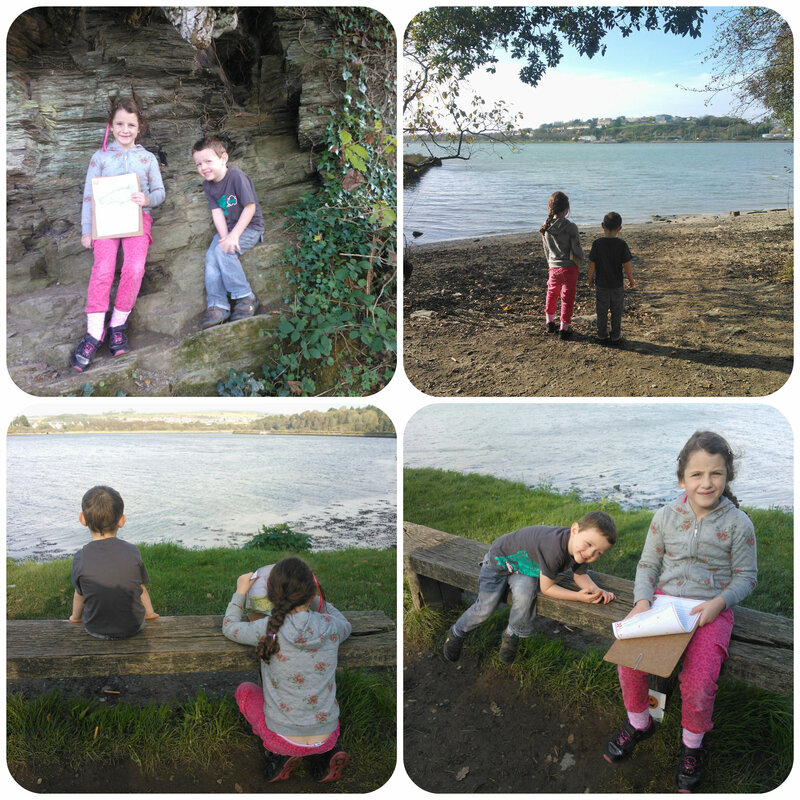 Once the trail was complete and the children had handed in their clipboards we headed into the gardens of the wonderful Saltram House. I just adore the exterior of the building and always have to stand and admire it each time I visit. The gardens still had a lot of the traditional garden games on the lawn which the children love and can play endlessly which is fabulous. Such simple, classic games but so much fun, we played skittles, croquet, quoits and then they practising goal shooting in the football net. It was then time for some refreshments and instead of heading to the usual cafe we decided to try the new Edwardian cafe that opened this year to the side of the lawn for some tea and cake! In vintage style with white linen table cloths, flowers and proper teapots, cups and saucers, it felt much more elegant and refined than the traditional cafe. 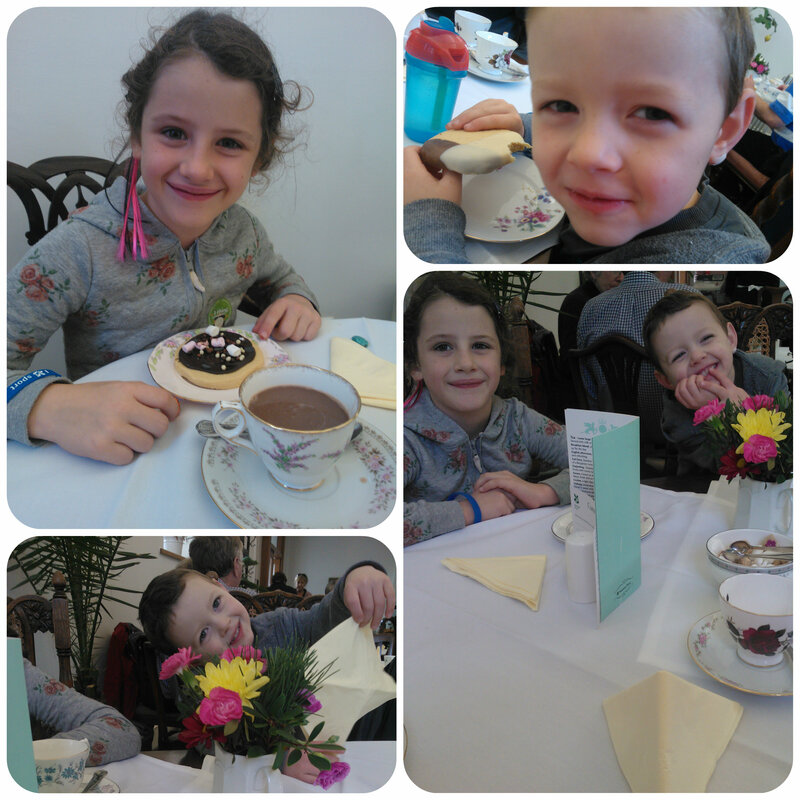 Miss M was loving it and so impressed that she got to pour her hot chocolate from a teapot and drink it from a proper little cup and saucer. They also enjoyed a large shortbread biscuit each covered in chocolate toppings! 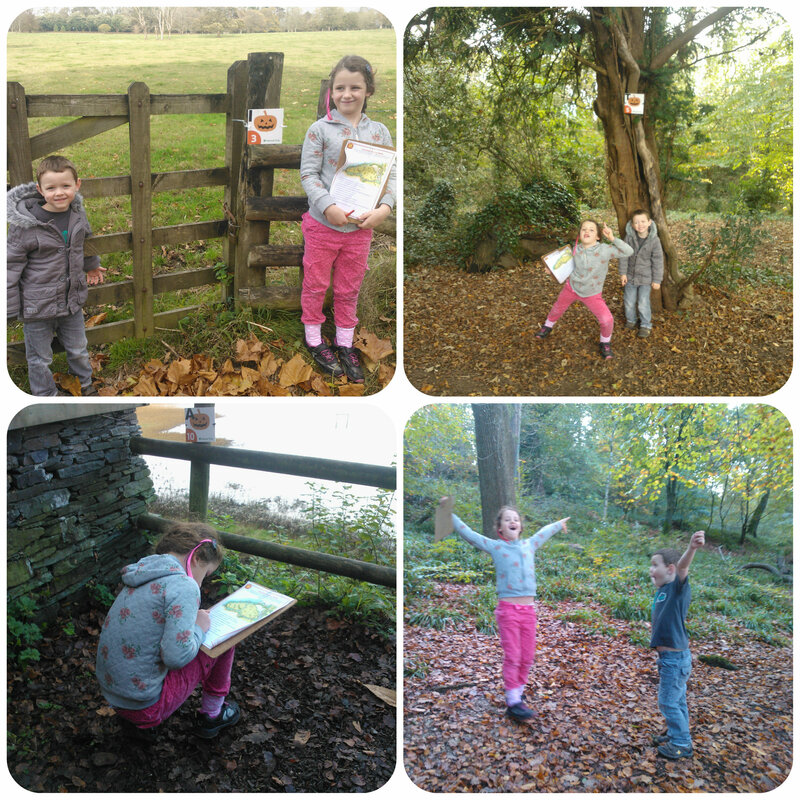 All in all a fabulously pleasant and enjoyable Halloween weekend had by all the family!